“I approached Catherine to work with me after hearing positive things about her and her work at different women in business networking groups. I was due to film a short video introduction for my business and having never done one before, I wanted some help in identifying my core message and presentation. In fact, it was after watching a short video of her’ own that I knew she was the right person for me. I really connected with her energy, passion and vibrancy that all shone through. I had two sessions with Catherine, the first of which was fact finding. She obviously needed to know what I did and how I helped my clients and I loved how we put all that together with copious post-it-notes and coloured pens! It was a very illuminating exercise and I was quickly able to identify my message and the one which would capture my audience’s attention in this short window of time. My work is very personal and I wanted that emotion and sense of heart connection and trust to come through and Catherine really helped me with that. In the second session we worked solely on delivery and presentation. She has some great tips on how to stand in your power and speak with confidence and poise and having never done something like this before, she really put me at ease. I guess the biggest thing that helped me to feel the most comfortable was the sense of feeling understood. Even though that’s nigh on impossible to do with all the different types of businesses out there, I never once felt like I was being moved into a direction I wasn’t comfortable with or asked to do or say something that wasn’t authentically me. Many client have a specific presentation they want to work on with me.. This particular client booked three sessions with me to help her in her job search and to get clarity about what she does. Lots of experience and talent here – and now a clear way of expressing this on line and face to face. It was a pleasure working with them! Catherine helped me with preparing for an important presentation and her ability to very quickly understand my subject in order to be able to best help me with the structure and delivery was fantastic. She helped give me a huge amount of confidence and as a result of the preparation work we did together, the presentation went really well and was extremely successful. I would definitely recommend working with Catherine on a 121 basis, as well as attending any of her speaking clubs. I have attended her monthly speaking club and this too is excellent and great for practicing and trying things out. Following many years of requests to ‘speak’ at various events, which I’d always politely declined to do, I contacted Catherine to see if she could help me overcome my fears. I understood that Public Speaking was a part of my role but it was always something I felt uncomfortable doing and to talk about ‘Me’ left me feeling even more awkward. Catherine helped me to piece together the story of my Professional life to date, the ups & downs of establishing and growing a business, along with the impact it had made to my life and how it had developed me as a person. It was a fascinating experience for me to look at everything that I’d undertaken and realise how exciting, challenging and rewarding the journey had been. I would definitely recommend Catherine to anyone considering Public Speaking in whatever capacity, as she has a wonderful way of easing your fears or concerns and helps you to deliver a confident, entertaining presentation. Yes, I still feel nervous when it’s time to speak but Catherine trained me to embrace these nerves in a positive way and by adopting her ways of organising my notes, I quickly relax once the talk begins. Another very happy customer after some one to one training – she also enjoyed the Speaking Club meeting too! Light-hearted, informal messages and experiences with great tips to practice. I found Catherine very engaging and the advice she has given me was quite inspirational. I think it was really useful. Very proactive, learnt lots of new things. Enjoyable – Reinforced something I thought were good practice and gave some great new tools. Really good event to think above how I can personally improve my presentation skills. Well organised and great content. Really enjoyed the session. There were lots of great tips to take away. Very inspirational! Love that there was no PowerPoint, very natural presenter, very inspiring. Great storytelling skills and sharing personal experiences. Catherine has worked for us at Pink Spaghetti on a couple of occasions, and we will continue to use her services in the future. As we roll out our franchises, Catherine comes in as an essential part of the franchisee training days, to take the franchisees through how to get across their message with future clients, and detailed networking skills – something essential to anyone working for Pink Spaghetti. We get amazing feedback from our franchisees after Catherine’s sessions, not only do they feel more confident, but they have lots to think about before they go to their first networking session. I would not hesitate to recommend Catherine to anyone. The phenomenal women speaking club has been a complete revelation for me. Public speaking is something that I’ve always dreaded and my aim has always just been to get through it, without making a total fool of myself by stuttering and shaking!! After a few sessions with Catherine, I’ve gained confidence and realised there’s a whole art to putting your presentation together. Instead of just getting through a presentation, I now think about how I’m going to deliver it and what techniques I’m going to use, I still feel nervous but also confident that I can do a good presentation. This training is the best CPD I’ve ever done and what you learn is absolute gold, thank you!!! 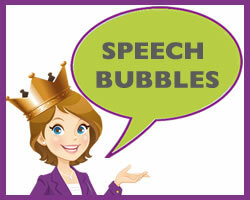 The speaking club has been really useful in stimulating thinking around what I need to say and how messages are expressed, and I have applied some of techniques and concepts introduced by Catherine in my work. I enjoy the balance between input from Catherine, and the opportunity to speak and gain feedback from the other women present. The small group size is essential to maintain this balance. Catherine provides a welcoming and personable learning environment. She takes an interest in those present and always offers useful individual feedback and support with examples relevant to work. She is an excellent facilitator and speaker, and is genuinely interested in helping every person to develop and improve. Such useful insight into the effort required to really make an impact, connect with any audience and stand out from the crowd. The speaking club works because of Catherine’s style and approach, she is engaging, encouraging but also challenging. The challenge now is to apply all this learning and allow the time needed to appropriately plan for engagements, be they presentations, meetings, networking or otherwise. Fantastic experience and would absolutely recommend this to others. I just wanted to say that I was using my presentation skills training as I help run the Crisis Comms training. I used the tools that I got in the training that I did last year and was complimented on my great presentation style. Since I know that I used to be rubbish at presenting, I thought that I’d drop you a line to say that the training paid off! Further to attending one of Catherine’s sessions ‘From panic to poise’ at last year’s NWWE Day, I found her own presentation skills exceptional and thoroughly enjoyable. It was at this point, I felt inspired and compelled to speak to Catherine in taking my first step in addressing the anxiety I feel at public speaking. A one to one session was booked with Catherine, which I found to be invaluable in identifying the core areas where I needed help most. Catherine made me feel very relaxed and gave me tips that showed me how to boost my confidence. One of my main plans as a result of seeing Catherine, is to be able to address a room full of people calmly and confidently when representing my company. I believe this will ultimately help me achieve my ongoing aim of growing my business. I would certainly recommend Catherine and if you are looking to make your first step or advance your speaking skills, albeit daunting, Catherine will be able to guide you throughout this process, whatever the level you wish to achieve. Here is some feedback gathered from a Presentation I gave at Northwest Womens Enterprise Day on November 16th 2012. I love the wordle application…! Hit the spot! Exactly what I needed. Some very good advice and good networking too! I found it very enjoyable and inspiring. I loved the analogies, enjoyed the variety. Valuable information. thank you. What a fantastic delivery of a subject I really needed to focus on! I am going to go away to prepare for my presentation next week feeling much more focussed. Thank you.I would definitely recommend it. It was very informative and well delivered. Made me think about my presentations and opportunities out there in a very positive and easy way. I was enthused about the prospect of making presentations again. Go for it! It gives you the chance to look at your product/services from your potential clients viewpoint. Ideal size and location. A wealth of knowledge from Catherine and Karen was evident. Tasty lunch! It will focus your mind on what you need to say when speaking to an audience or one to one. Fantastic. Even if you have been presenting for 20 years you will approach them very differently after this. I would definitely recommend it. It is so much more than a presentation course. It makes you really think about what your message and story is and how you can deliver it with real clarity and impact. I made some new friends too. Helps you make changes and extract from you things you didn’t know about yourself that you need to know. DO IT, don’t put it off just do it!